HL filter not only produce filter bag, filter cloth also be produced by ownselves. So, we can control the cost and quality well. 3.Size: 7"*17" (178mm*430mm). 4"*9", 4"*15", 7"*17", 7"*32" are standard filter bags size. Other sizes can be customized. 4.Neck( Ring) material: Plastic and Stainless steel. 6.Bottom type: Round or Triangle. 7.We can provide OEM for you. 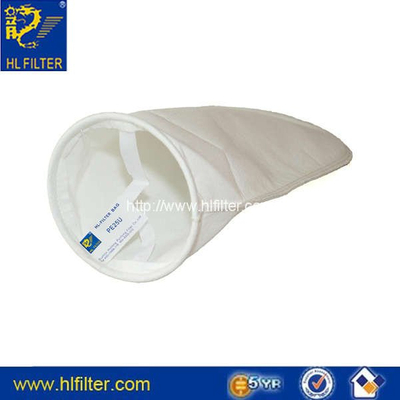 Micron Polypropylene filter bag can working below 90℃,and Polyester filter bag can working below 130℃. Town, Kunshan City, Jiangsu, China.